There have been a number of documentaries about the Sewol Ferry Disaster, one of the most impactful tragedies of the 21st century. 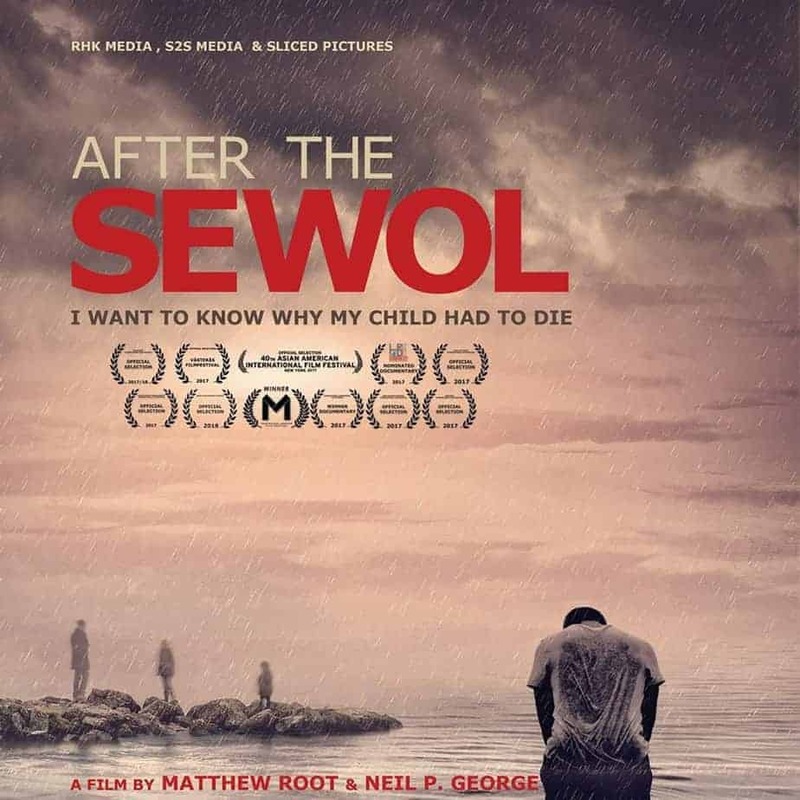 “After the Sewol”, though, stands out, not only because that its release almost overlapped the raising of the ship, and the fact that presents the way two westerners experienced the events, but also because it takes a more human-centered approach, focusing on the people left behind, but also on the impact trauma can have on a nation. Let us take things from the beginning, though. The documentary is actually split into parts, each dealing with another aspect of the tragedy, although occasionally the segments overlap. In that fashion, it begins with a brief history of the event, then presents the way the two directors ended up shooting the film, then features interviews with family members of the deceased, divers that participated in the rescue and a parliamentary member, with the interview being the part that is repeatedly shown during the documentary. The segments also include actual footage of the people during the sinking of the ship (truly chilling voice recordings and emails), references to other similar disasters in Korea and the history of the country after the WW2, through the dictatorships to the seemingly democratic regiments of the present. The documentary ends with the message the interviewees want to share with the world. Through the many segments, the directors present a rather inclusive depiction of the events and their consequences. However, the focus of the documentary is much deeper, as it aims to pinpoint to the historical, political and most importantly, financial reasons that have led to a number of tragedies. Furthermore, the feelings, thoughts and purpose of the ones left behind also play a central role in the film, with the finale actually being reserved for this part. Lastly, it deals much with the way foreign press reported on the events, thus presenting the western view on the tragedy. The quantity of information, the presentation and the editing of the different aspects of the documentary are quite good, with the directors succeeding in producing a rather engaging spectacle that creates many questions but also gives a number of answers. The only fault I found is that the last part is a bit overdramatic and actually extends the duration of the documentary to a point that it becomes a bit bothering. Of course, communicating the messages the ones close to the victims want to give is justified, even a noble cause, but I felt that these parts could be either a bit trimmed, or placed at another point in the documentary. 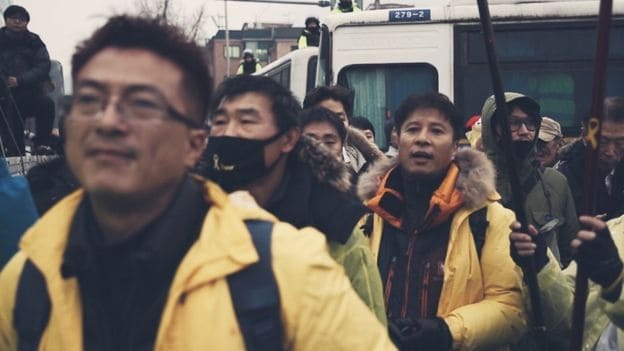 However, the fault is minor and does not fault significantly the general essence of a rather interesting documentary, which seems to be the best way for a westerner, in particular, to learn about the whole Sewol tragedy concept.